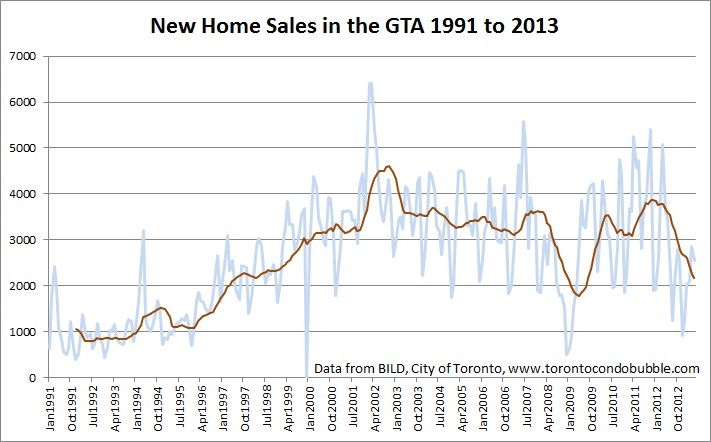 Would you like to see some evidence that the Toronto condo bubble is bursting? 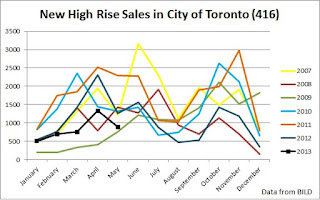 Well, this past May new condo sales in the City of Toronto declined by 28% from a year ago, and over 60% from 2011. 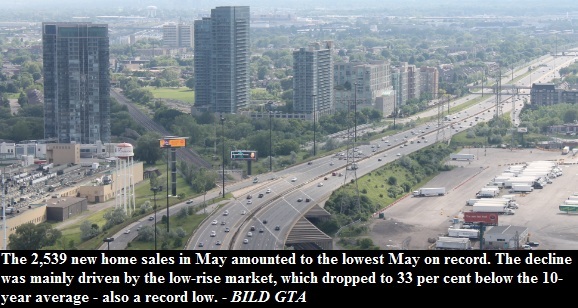 In fact, new home sales throughout the GTA have crashed by over 30% in May 2013 compared to a year ago. What is even worse is that sales have been falling for over a year now. 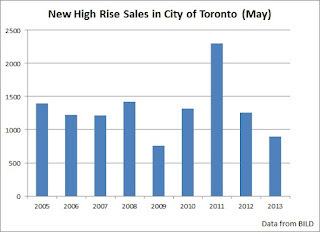 Even new high rise prices have declined by 2%. 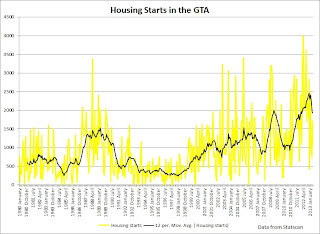 Crashing sales means declining housing starts. 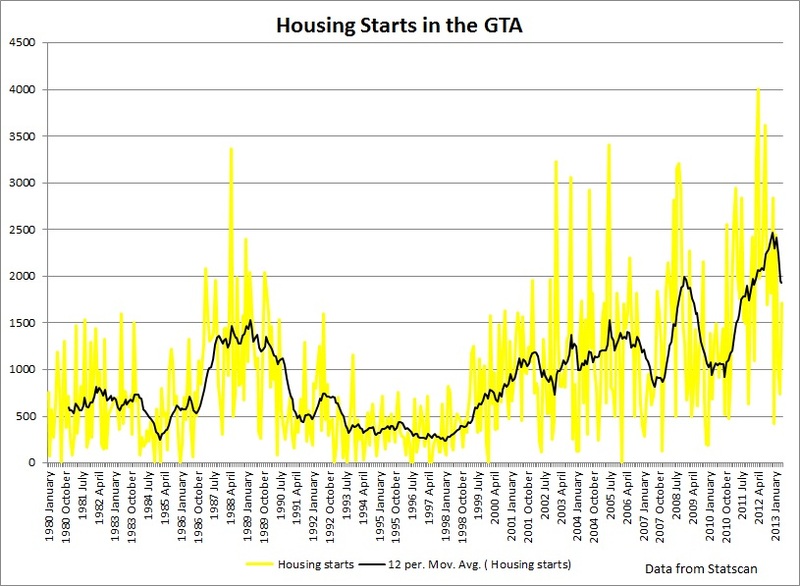 Falling housing starts means less construction jobs and higher unemployment. The 50,569 apartments that were under construction this past May were sold years back. 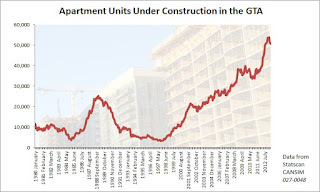 Once those units are finished, the condo boom will end as there will only be a fraction of the condo towers being built. Below are the updated graphs. 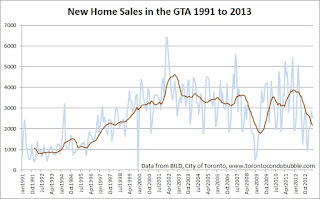 New home sales in the GTA are on track to beat the lows recorded during the financial crisis. 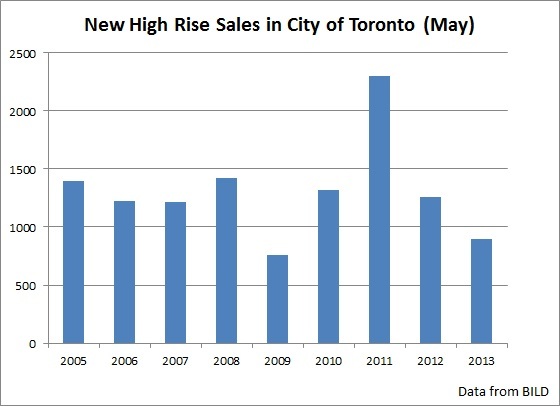 Above is a chart that compares the number of new condos sold in the City of Toronto between 2005 and 2013. Notice that this past May had the second worst number of sales since 2005. 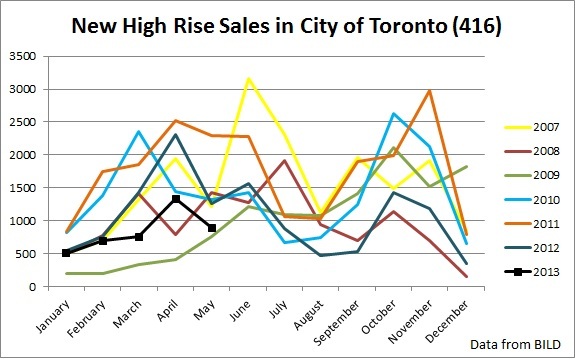 Above the chart shows the number of new condo sales in the City of Toronto on a monthly basis between 2007 and 2013. Housing starts declined by 13% last May. The number of apartments under construction has been declining for the past few months. 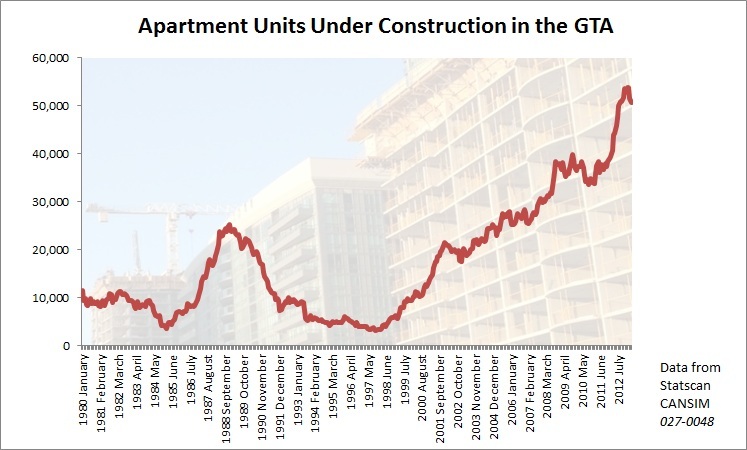 In my view the real condo bubble in Toronto is the construction bubble!